Children are being recruited to fight in the ongoing war after their schools have been closed and bombed. Azam Derhim, 13 years old, was recruited by Houthi militia after they entered his village in Nehem, east of Sana’a. “Houthi militia have been storing weapons in my school and kicking the teachers out,” said Derhim. 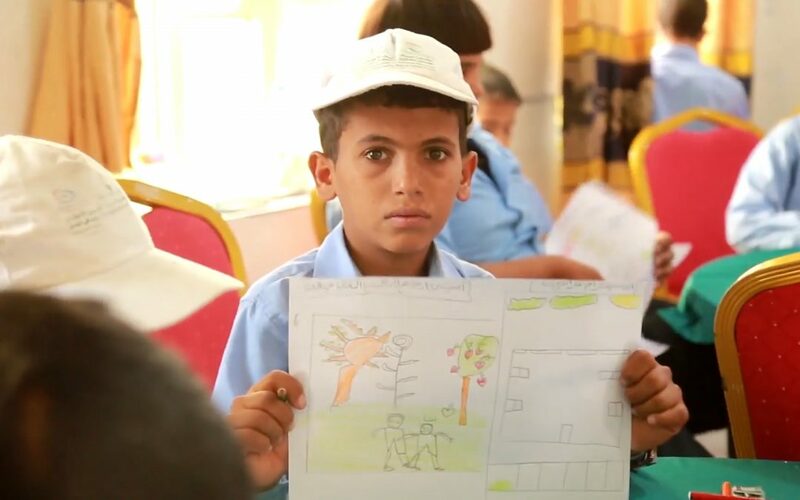 Unicef estimates that 13,146 schools (78%) of Yemen’s schools have been hit by the salary freeze, while nearly 500 schools have been destroyed during the conflict or turned into shelters or commandeered by armed factions. “Houthi militia told my father to let me join them, but he refused. They imprisoned my father for two days, then he forcibly agreed. They taught me their ideas, then they insisted on taking me to fight in Sa’ada,” said Derhim. Houthi militia let Derhim do reconnaissance (observation) due to his small body, agility and intelligence. Derhim is one of the lucky children who wasn’t blown up in war. He managed to escape from the front and go back to his relatives in Mareb governorate. He joined rehabilitation courses with about 14 children to be able to go back to school. The report of the Secretary-General on children in armed conflict states that there have been 842 cases of child recruitment in the war and the use of boys as young as 11 years old; 534 were attributed to the Houthis.